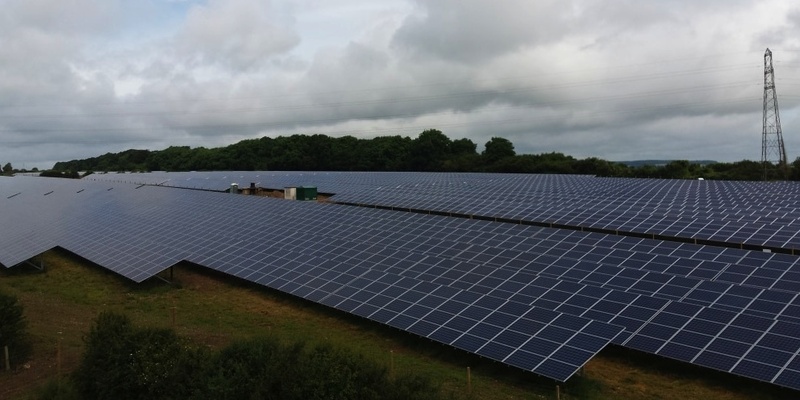 Renewable energy generation in the United Kingdom has increased by 230% since 2009, according to a series of new reports by the Department for Business, Energy & Industrial. The future looks promising for renewable energy in the UK, which now accounts for almost a third of the total electricity generation in the UK. The steady growth of renewable energy in the United Kingdom is related, to some extent, to the increasing concerns about climate change among the UK population. A survey conducted by the Department for Business, Energy & Industrial Strategy reveals that 71% of the respondents are concerned about climate change in 2017 compared to 66% in 2013. Furthermore, 79% of the respondents support renewable energy in 2017 compared to 74% in 2016. The biggest source of renewable energy in the UK is wind, which accounts for 13.8% of the total renewable electricity generation in the UK. Infact, UK is the best location for wind power in Europe. In terms of electricity generation by country, Scotland generates most of its electricity from renewable resources (42.92%), followed by Northern Ireland (25.33%), England (23.15%) and Wales (12.33%). While renewable energy is gaining ground in the United Kingdom, coal is being used less and less as an electricity source. By generating more and more renewable electricity, the UK is spearheading the sustainability movement in Europe. Greenmatch.co.uk has created a data-driven infographic titled ‘Renewable Energy in the United Kingdom’ that visualises the main findings of the reports. Green investments, which has grown by leaps and bounds in recent years, provides a strong linkage between the financial industry, environment protection and economic growth. Private equity, as an independent player, is playing a vital role in financing green projects and is now well-positioned to fund development projects worldwide. Last year, the venture capital and private equity investment in clean energy firms was a whopping USD7.5billion. 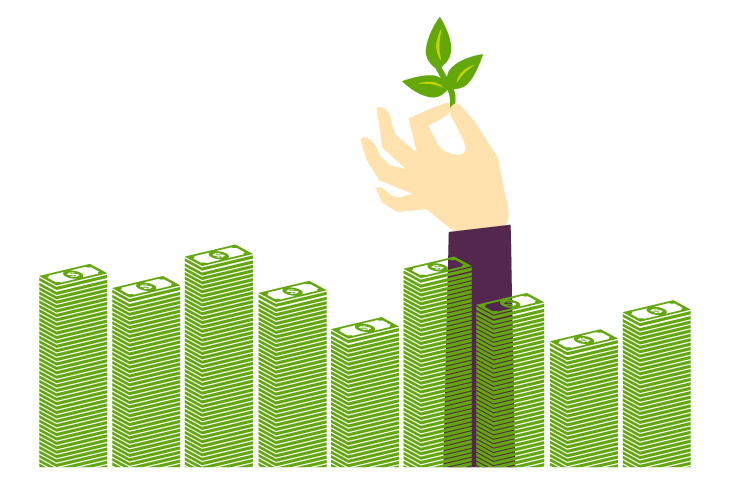 Green private equity helps project developers and entrepreneurs in securing venture capital for sustainable and green projects. Investors and funds make direct investments into private companies which lead to delisting of public equity. 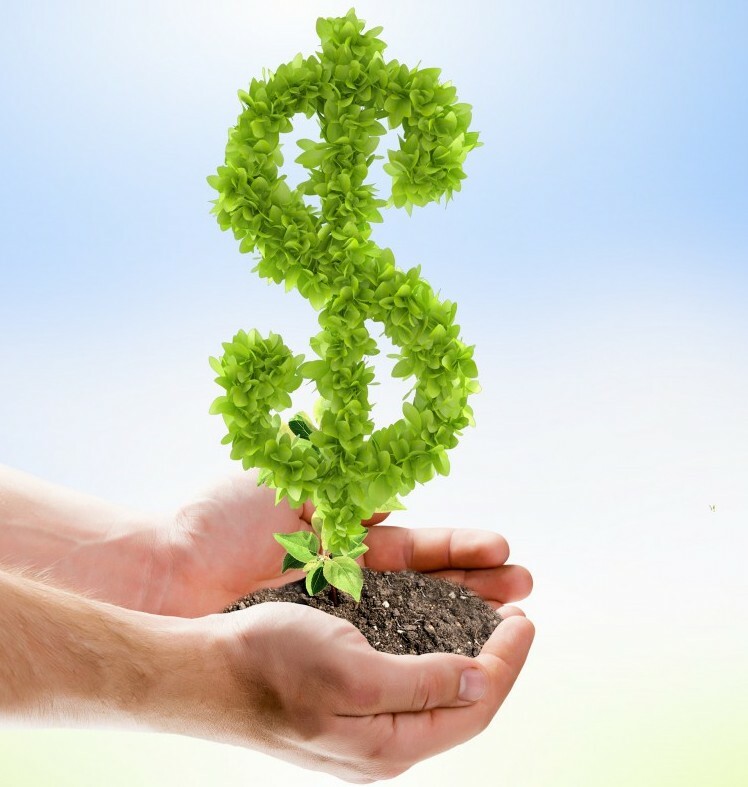 Equity for renewable energy projects can come from a utility that is financing the whole project; or from the developer who is contributing partial equity (usually 20% to 40%) of the investment cost; or it may originate from outside investors such as infrastructure funds, private equity funds and insurance companies. Capital for private equity can be used to finance new technologies, expand working capital, make acquisitions, or to strengthen balance sheet. Whether they are venture capital in a start-up electric vehicle company or the financing of a solar power project, green technologies represent investments that are crucial to our transition to low-carbon economy. The prime beneficiaries of private equity are renewable energy, energy efficiency, clean transport, forest management, water management, sustainable land use and other low-carbon projects, all of which are urgently required in the developing world. Green private investment is a major enabler for financing needs of green projects. Green investments are a major enabler for local, regional and international financing needs of green projects. In recent years, environment awareness has rapidly increased in the developing countries and it is expected that business opportunities for private equity firms will also show an upward trend. Short-term sustainability issues, such as water management or energy management, and longer-term issues like renewables and waste management, are already on the radar and the coming years will witness a heightened activity from private investors and equity firms in developing countries. To sum up, green private equity promises to play a big role in aligning financial systems with the financing needs of a sustainable world. With ‘green’ being the buzzword across all industries, greening of the business sector and development of green skills has assumed greater importance in the developing world. Around the world, SMEs, startups and entrepreneurs are playing a vital role in the transition to a low-carbon economy by developing new green business models for different industrial sectors. Infact, young and small firms are emerging as main drivers of radical eco-innovation in the industrial and services sectors. A judicious exploitation of techno-commercial opportunities and redevelopment of business models, often neglected by established companies, have been the major hallmarks of green SMEs. For example, SMEs operating in eco-design, green architecture, renewable energy, energy efficiency and sustainability are spearheading the transition to green economy across a wide range of industries. The path to green economy is achieved by making use of production, technology and management practices of green SMEs. Some of the popular areas in which small green businesses have been historically successful are renewable energy production (solar, wind and biomass), smart metering, building retrofitting, hybrid cars and waste recycling. As far as established green industries (such as waste management and wastewater treatment) are concerned, large companies tend to dominate, however SMEs and start-ups can make a mark if they can introduce innovative processes and systems. Eco-friendly transformation of existing practices is another attractive pathway for SMEs to participate in the green economy. Green SME sector in developing countries has been growing steadily, albeit at a slower pace than anticipated. One of the major obstacles has been poorly-designed regulation. Lack of clear policy direction and enablers are hindering growth and competitiveness of green SMEs. Product market regulations which stifle competition pose a big hurdle to SMEs operating in renewables, energy, environment and sustainability sectors. For example, state-owned companies in the Middle East have almost complete monopoly in network industries which have large environmental impacts (electricity/energy sector) or control strategic environmental services (water and waste management sector). Restructuring of the SME sector in developing countries is essential to allow small businesses to grow and prosper, thus catalyzing a steady transition to a green economy. SMEs account for vast majority of production units and employment across the developing world. Needless to say, participation of SMEs is essential in the transition to a low-carbon economy, thus paving the way for greening the business sector and development of green skills across all industrial segments. Disorientation of research and development from industry priorities and trends. Government agencies, business associations and NGOs need to play a bigger role in advocating more streamlined priorities for green growth across all industrial sectors. Green SMEs face significant barriers to entry despite their key role in developing locally appropriate technologies and eco-friendly business models. Policy interventions for supporting green SMEs in developing nations are urgently required to overcome major barriers, including knowledge-sharing, raising environmental awareness, enhancing financial support, supporting skill development and skill formation, improving market access and implementing green taxation. In recent decades, entrepreneurship in developing world has been increasing at a rapid pace which should be channeled towards addressing water, energy, environment and waste management challenges, thereby converting environmental constraints into business opportunities. In the Holy Quran, there are many verses which emphasize the great importance of environment protection and sustainable development, and the responsibility of human beings towards the environment. The man has the right to use the environment for getting the essential benefits like water, land, air, minerals etc. But there is no right given to man to damage the environment. The awareness about the sustainable development among the people is increasing. The people feel the necessity to include religious influence in maintaining the environment. The Learn Quran Online play a significant role in our lives to fulfill our responsibility as the Khalifah of Allah. Sustainable development is not a new concept for Muslims. In the Quran, we can find more than 500 verses in which Allah guides us on matters related to the environmental sustainability. According to our religion Islam, human being is the caretaker or guardian of this environment. The Islamic perspective on sustainable development is that Islam can contribute to increasing human awareness of the environment and its sustainability. The Quran also explains the importance of the environment and explains the relationship of the surroundings with human life. Thus, as Muslims, it is our responsibility to utilize the earth responsibly. We should maintain and preserve it honestly. The Quran teaches us to use it considerately and moderately. It is very important to pass the maintained environment to future generations. We have to handle our environment in a way that comprehends the worship of Allah. Every person can share earth’s resources. Allah has also set a scale on all the resources. Our negative actions will produce the side-effects and cause ecological imbalance on Earth. According to the Quran, Allah rewards a person who brings a dead land to life. Land reclamation is highly encouraged in Islam. Preserving the land is very important because not only human beings but also animals, birds, and other creatures benefits from it. Allah regards this act as a charity in Islam. Allah says that He offers rewards for planting every sapling. Nature protection is emphasized in our religion. Industrial development is not allowed in any such area. Allah says that all the things that He created on the earth have certain purposes. We should appreciate the wildlife and contribute to the protection of nature. Monopolization of water is not allowed in Islam. Sustainability of water is very important. Prophet Muhammad (Peace Be Upon Him) teaches us to use the water properly without wasting it. Quran not only encourages the protection of water but also forbids polluting it. We can only benefit from the environment if we contribute to its maintenance or conservation. People are ignorant in this regard so this ignorance has resulted in the environmental degradation. There is a need to raise awareness among the people. People should realize that it is their religious duty to conserve the environment. Allah, the Almighty, does not allow anyone to cause damage to the earth. The protection and conservation of the environment is the religious duty of all the Muslims. We as Muslims believe in the sustainable development of our cities and our countries. The Muslim community should be responsible to protect the nature. It is our duty to raise awareness among the people on the basis of Quranic teachings. People should also follow the Quranic principles of mutual cooperation. Best Ways to Learn Quran Fast to know more about it.